This ain't no bake sale. UPDATE: Our 2016 fundraising total was $29,062!! Incredible! Thank you to each and every donor. Your donations have been donated to Make-A-Wish Northeast New York and will be used to grant wishes to kids and teens living in the 518 area codes who have life-threatening medical conditions. Thank you, thank you, thank you! Another incredible Wish Jump fundraiser is in the books! All 17 Wish Jumpers were able to skydive before the rain came in, and over $25,000 was raised. STAY TUNED for the official fundraising total, as donations continue to come in! In the meantime, check us out on Facebook for pics and videos! Thank you donors, thank you sponsors, and THANK YOU Skydive the Ranch for another great day without a scratch! 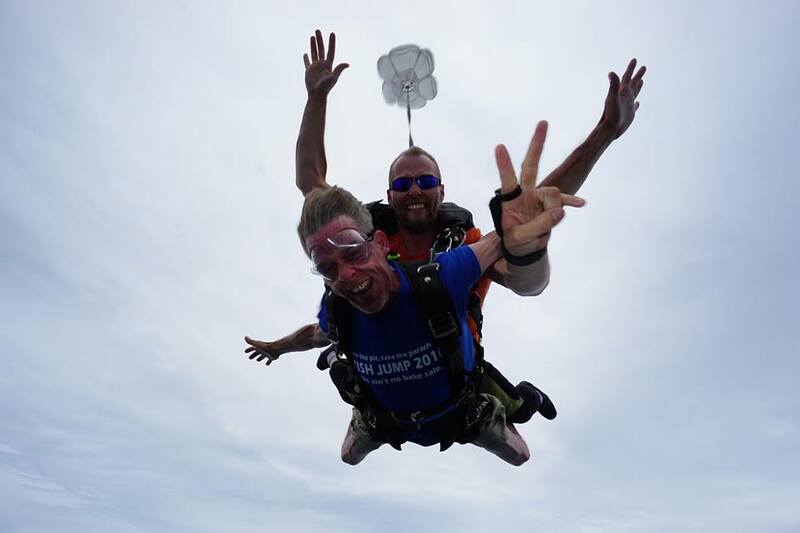 If you would like to support Make-A-Wish Northeast New York and jump with us in 2017, email Mary at wishjump@gmail.com. ← Three weeks until Wish Jump 2016! WISH JUMP 2019 IS UNDERWAY! WISH JUMP 2018 is underway!